June started off for me as I arrived back to Singapore to prepare Acts Church’s new home in 154 Tyrwhitt Road. Some mini highlights include a dinner at Blackforest Stuttgart Restaurant with the camp committee, discovering Waterloo Centre, partaking in a hipster sleepover in Tiong Bahru with hot green tea and a film called “About Time” and two trips to Swee Choon’s Dim Sum on Jalan Besar. This month I ticked off four more items from my 30 Before 30 Bucket List. I undertook a full body check up, went for one mission trip, donated blood for the first time in Singapore at Dhoby Ghaut and took the 13-hour train from Johor Bahru to Butterworth. What an experience it was on the Rakyat Express, watching the scenery from my window and meeting all the friendly people in the restaurant carriage. From Butterworth, I took the night ferry across the island, an extremely surreal and nostalgic experience for me. I spent six days at home in Penang with my mum, though it was a really rushed trip this time round. They included making beef lasagne at home, proofreading for work, running errands at JPJ and the IC department, shopping at MNG Queensbay, dinner with a cousin from Ireland and an impromptu photoshoot at Sekeping Victoria’s new cafe. In the writing world, I wrote three short stories called “Untouchable”, “House No. 23” and “The Moths of Pearl Hill”, all for submission to various anthologies and competitions. I also wrote two Malay poems entitled “Lautan di hujung pangkalan” and “Kepulangan” for submission to a national poetry competition. There was an afternoon writing session in Bedok with my writing partner and a first Skype session with my writing mentor in KL getting to know each other. 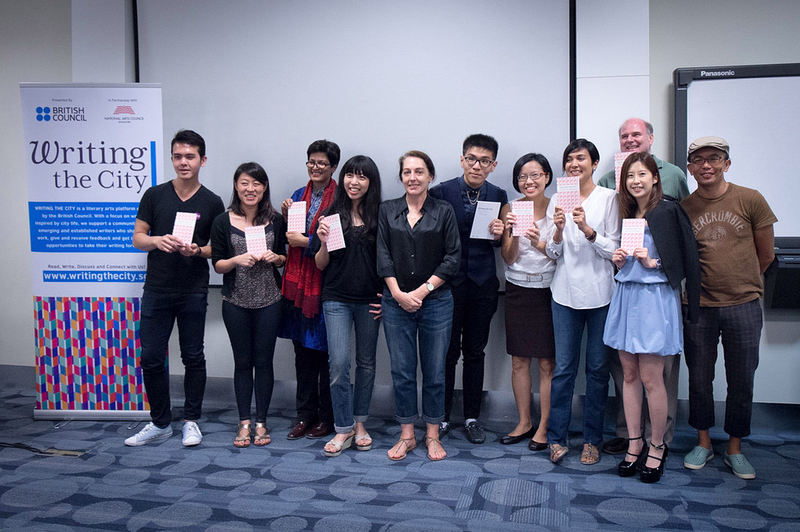 Two highlights from my writing world – Writing the City’s book launch at the National Library saw seven of us read out our short stories and poetry to a packed house. I enjoyed writing my story “The Last Day of January” and was really honoured to read it. It was an extremely enjoyable day, preceded by lunch at Nando’s and followed by frozen yogurt at Llao Llao. The second was that a short story of mine, “Oil & Water” came in Top 10 finalist for Esquire Magazine’s Montblanc Fiction Project. In the freelancing world, I clocked in a good number of hours writing and fact checking for Frontline Magazine, Lifeline Magazine and Silkwinds. This was also the month I discovered Costa Coffee in the basement of Robinson’s thanks to a friend’s tip off. I read one book this month which I really enjoyed, and it was Melissa de Villiers’ The Chameleon House. I watched one film this month, and it was Tomorrowland at JB City Square’s Cathay, which was so-so. My month ended with a 5D4N trip to Ranong, Thailand, island hopping across the Andaman Islands to Ko Lao and Ko Phayam. In Ranong I had the best khao kha moo (pork leg rice) that hands down beat Hat Yai’s. The last day of the month was spent doing two rounds of laundry at home, sorting out photos, grocery shopping for the week and recuperating at home before July kicks off and I head off to Sandakan for another holiday. This entry was posted on July 1, 2015 by wanphing.